Nintendo started today’s Nintendo Direct with a big one. 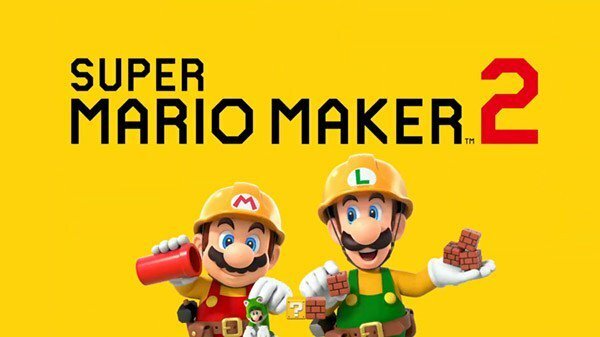 Super Mario Maker 2 is coming to the Nintendo Switch this June. It will include a ton of new tools and features, such as slopes. The official tweet is down below. I always had a strong hunch that the rumor about Super Mario Maker 2 coming to Switch was true. I’m happy that indeed it is. The best part is that they’ve added so many things. No need to think twice here. Same here buddy. This game is gonna be awesome on Nintendo Switch, But, there is one problem. How can we create our levels without the stylus? Nintendo Switch doesn’t have one. oh yeah i forgot about that. but it seems like your right. More backgrounds like ice, space and desert!? THEY LISTENED!! New power-ups like the Super Bell? Icing on the cake! I loved the first one; I’ll be getting this one Day 1. Man! The summers my buisiest time of year for work and now there releasing this. Curious if level creation is limited to handheld mode or if you can use motion pointing as well. I suppose common sense says that you could but it just feels like that would feel gross unintuitive compared to the touch screen. Luigi… Hmmm… I sense more playable characters!!! Either way I’m getting this on day 1!!! Ever have the thought that all the people commenting on this site could just be two people in total? You, and one other person who posts as all the weird characters like Stankbomb hoping to be noticed by someone… ever. The game will be mine soon. I’m glad they didn’t put the title New Super Mario Maker. Nintendo be like: WE GOT IT you wanted slopes,you got them. I think this game alone will be enough to make people subscribe to Nintendo Switch Online,I mean Mario Maker without the online is nothing.